An American phenomenon, Black Friday and Cyber Monday have gained (well-deserved) momentum in the UK over recent years as they're both known by bargain hunters as the chance to make big savings on everything from tech and to cushions. The best bit? With both of them falling a month before Christmas, they're the perfect opportunity to pick up some incredible gifts at a fraction of the price. Hello Black Friday savings. So, should you wait for Black Friday and Cyber Monday? Well, yes and no. While prices will go down during the big weekend, there are definitely still bargains to be bagged in the run-up. To help you out, we've done the legwork, finding the best Black Friday and Cyber Monday deals for your home. So, whether you're looking to replace an old washing machine, up your smart home tech quota, want to shop for fridge freezers to sofas and bedding or simply get your Christmas shopping done early and cheaply, check in with us at our deals page regularly for the latest deals and info. Always immediately after Thanksgiving, this year's Black Friday will fall on Friday 29th November, with Cyber Monday on 2nd December. The sales will, however, last for about a week or so, and some retailers, such as Amazon, will start cutting prices before. In other words, keep your eyes peeled for great deals from the beginning of November onwards. Not really, since lots of deals are set to last from Black Friday through to Cyber Monday and beyond. Once upon a time, Black Friday offered great deals on consumer electronics, while Cyber Monday focused more on clothing and jewellery bargains. Now, though, you can get great deals on everything across the entire weekend. What can you buy for your home on Black Friday and Cyber Monday? Lots of things! From bedding to smart home tech, a new sofa or a TV, so it's possibly the best time of the year for shopping, big or small. With homeware brands ever more attuned to the Black Friday and Cyber Monday buzz, you can expect big savings from well-known brands. When it comes to home tech and appliances, Amazon, AO.com, John Lewis and Currys are worth watching, while big savings on furniture and homeware can be expected everywhere from Made.com, Anthropolgie and Oliver Bonas to Wayfair, Habitat and Amara. That said, sometimes, retailers opt out of Black Friday and Cyber Monday – which is why it's worth checking back here for updates because we'll be monitoring the best deals for you. Are Black Friday and Cyber Monday savings real – or illusionary? TVs will be sold at massive discounts, ideal for the viewing-heavy festive season. Amazon will offer great discounts on its own products (think Echo and Echo Dots – both great Christmas gifts. You'll be able to buy small gifts from Apple – gift cards have featured in the past (perfect for the fussy gift-receiver!). Classic Christmas gifts – from cameras to smart home tech – will be way cheaper than usual. Power tools, kitchen appliances large and small and even electric razors will all be discounted. It's not just fridges, kettles, coffee machines, microwaves and ovens that are up for grabs; off-season buys, such as lawnmowers, BBQs, sprinklers, hedge trimmers are being discounted, too. eBay even takes part, offering Black Friday deals. Home accessories will be up for grabs at brilliant prices – and we'll have the latest every day. Xbox One X, is expected to be discounted, as is the PS4 Pro. Perfect for that 'big gift' for the kids. Looking for furniture? You'll be able to check back with us for the best mattress, bed, sofa bed, and furniture deals. BUT... since many products' prices yoyo frequently, checking the price history of what you're planning to buy on CamelCamelCamel.com or PriceSpy will tell you whether the savings are real or illusory. These clever and handy sites show you whether a price is likely to re-occur, so, if you prefer, you can allocate your budget to something that is more rarely discounted on Black Friday and Cyber Monday. Whatever you're shopping for, do bear in mind that as prices change frequently (no doubt arranged with the supplier way in advance), it's not always worth racing to get something you're still saving for, because the product is likely to be discounted again soon (think Boxing Day sales). Always check, rather than be distracted by the recommended retail price, especially on big ticket home tech like televisions. Amazon slashed prices on their own smart products last year – think the Echo, Echo Dot, Kindle... and also helped customers save a hefty £90 when purchasing a Hive thermostat. John Lewis also knocked £50 off the Google Home smart speaker. In other words, it's the perfect time to do your shopping. Bargain Christmas gift anyone? TVs are always sold at great prices on Black Friday and Cyber Monday. Last year saw Currys offering 36 per cent off the Sony Bravia Smart Ultra HD TV, taking the price down from £1,099 to a staggering £699. Amazon also had some cracking TV deals, including a Sony TV reduced from £999 to £599. You'll sleep in comfort going into 2019, as mattresses are known to be really cheap in Black Friday sales. In 2017, big online mattress brands such as Simba, Casper and Eve got in on the Black Friday action, with some of them offering 30 per cent off over the Black Friday weekend. It would be rude not to get some brand new bedding considering the low prices, right? Three years ago Marks & Spencer cut prices by 50 per cent on items such as bedding and towels and last yearDebenhams also had 30 per cent off bedding. Guaranteed a good night's sleep after all of the money you'll be saving, last year had homeware haven Habitat cut their prices by 50 per cent during the event, and in 2016, Very offered a 50 per cent discount on several beds and sofas. Sleeping a few more family members this Christmas? Treat yourself to a new sofa bed from John Lewis. Last year they had the deal of the century on their Sacha sofa bed, dropping the price by over £400. Those on the hunt for a new sofa will be pleased to hear that Marks & Spencer knocked a whopping 60 per cent off products across all its departments in 2017, and Debenhams offered savings of 60 per cent off furniture. 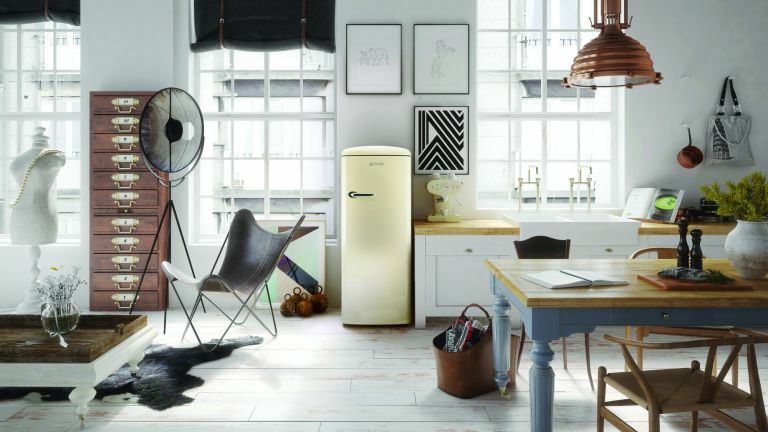 A purse-friendly fridge or freezer to store all the Christmas grub you've pre-ordered is definitely in the running for one of the best Black Friday deals this year. Currys PC World offered top-class deals on their fridges and freezers last year, including a huge £400 off the LG GSL961PZBV American-style fridge freezer. Good washing machine deals are a definite during Black Friday, especially from brands such as John Lewis , who, last year, cut prices by up to £170, and Currys who offered up to £250 off selected models. Finding the deals is definitely the trickiest part of Black Friday and Cyber Monday. With so many retailers offering huge savings, it can be difficult to know where to start looking. The good news? We’ll provide a guide to the best Black Friday and Cyber Monday deals on everything for your home, including smart home and kitchen appliances, bedroom accessories, TVs, furniture, gifts and more. That way, we’ll do the browsing and you can snap up the bargains. Just as you would usually, ensure you're shopping securely. Paying by credit card will give you more protection than paying by debit card. If you pay with PayPal or another third party payment service, you may not be eligible for these payment protections.